Well, there you have it. The third GOP debate is over and done. While no one can be declared the winner until the post-debate polling is released, one thing is for sure: The night was make-or-break for Jeb Bush, whose campaign has been in dire straits for quite some time. The former Florida governor tried to fix that on October 28, but it's not clear whether he managed to pull it off. His performance was rather underwhelming, and if his campaign doesn't rebound, then Bush's closing statement at the debate may be the last one he ever gets to deliver on a presidential debate stage in this cycle. 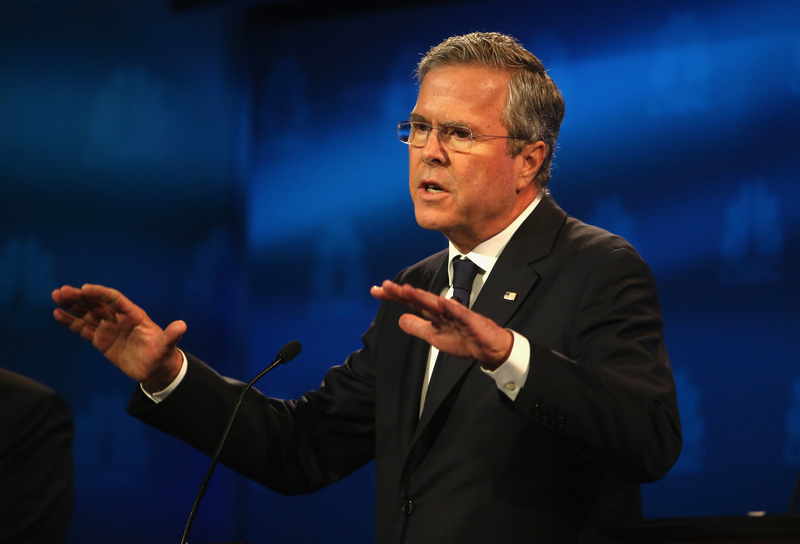 Bush entered this debate with his candidacy in a tailspin. It began with a series of gaffes and consistently low poll numbers. Then he bickered with Donald Trump about whether his brother, former President George W. Bush, can plausibly claim to have “kept us safe" — a question Jeb was destined to lose. Mass concern amongst Bush’s donors followed, which resulted in a massive cut to his campaign staff and a pow-wow with Bush family elders — or a meeting with “mommy and daddy,” as Trump derisively put it — surrounding the future of his campaign. Some speculated that Bush's presidential campaign was all but officially dead. Bush aimed to put an end to that chatter Wednesday, and to make an affirmative case for his candidacy. His closing statements, like the rest of his his performance, fell short of accomplishing that. America’s at a crossroads. The DC politicians continue to make things worse. I have a proven record of success. Thirty-two years in business and eight years as governor of the state of Florida. I will change the culture in Washington just as I changed the culture in Tallahassee. And I will do so in a way that will bring people together. We need a unifier, not a cynical divider-in-chief, and that’s exactly what I will do [sic]. Imagine a country where people are lifted from poverty again. Imagine a country where the middle class can get rising income again. I know we can do this because we’re still the most extraordinary country on the face of the earth. Thank you. That's a lot of generic platitudes, and not very many specifics. It's no surprise, then, that the social media reaction focused primarily on the fact that Bush coughed midway through. When your cough (or warm kiss) attracts more attention than the things you say, it's generally not a good sign. Especially if you're running for president.